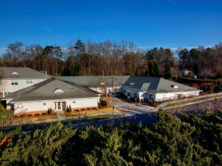 This project included a 7,100-square-foot addition to the existing Stewart Health Center. 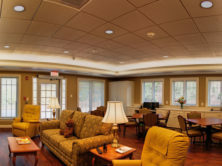 The 20-bed addition increased the community’s existing skilled nursing facilities, bringing the total to 60 beds of continuing care, which now includes both private and semi-private quarters, for assisted living, skilled nursing and dementia. The new neighborhood has a state-of-the art central living area with multi-media offerings, a living room, dining and resident kitchen area, and a multi-purpose activities area.